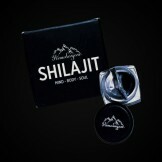 Shilajit is a black miracle paste that comes from decomposed plant matter that is extracted from the Himalayas. This paste is enriched with minerals, amino acids, and essential metals that gives instant relief from joint pain helps with chronic fatigue, treats low levels of testosterone, and treats heart, liver and brain problems. It can also be used as a natural supplement to increase your energy and make you healthy and fit. Shilajit is also taken to treat jaundice, gallstones, epilepsy, enlarged spleen and many other conditions. Moreover, this product has proven to be greatly helpful in reducing male infertility, treating diabetes, getting rid of oedema, and, reducing fat and anorexia. So get your hands on this product and lead a healthy life. Scoop out 200mg of the Shilajit using a spoon. Drink this every day on an empty stomach and wait for the miracle to happen. Don't take shilajit if you have sickle cell anemia (blood disorder), hemochromatosis (increased iron in the blood) or thalassemia (genetic disorder). If you are currently taking any medication please consult with a doctor before using shilajit. Avoid using multivitamins when taking shilajit. 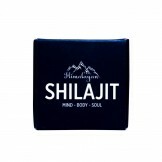 Consult a doctor if you experience increased heart rate, skin rash or dizziness after taking shilajit. Helps in treating erectile dysfunction (inability to get/keep an erection). 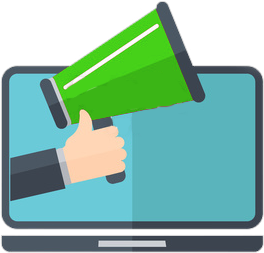 Offering the Salajeet with fast shipping in Karachi, Lahore, Islamabad, Rawalpindi, Peshawar, Quetta and many other cities of Pakistan.